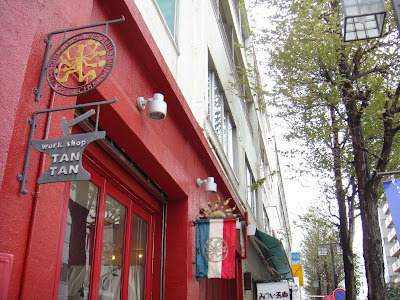 Yesterday, despite the cloudy mood we have decided to visit Chiki Chiki & Tan Tan. Maybe the sound of the name gave us something very, sunny? 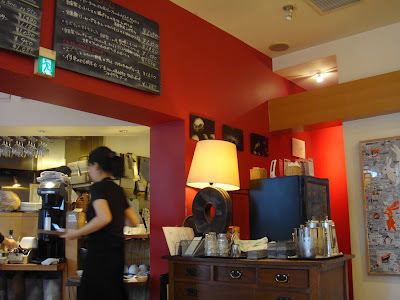 The cafe is located a bit far from Kannai, the station nearby China Town in Yokohama. I was not so sure about the menu even though I was interested in the interior design of it, but after some searching on the internet I felt we can give it a try. It turn out that we had made a good choice. 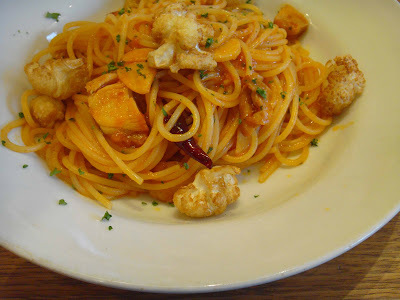 The pasta were great. Personally I like the idea to bake the cauliflower and match it with the tomato base chicken pasta. Very nice. 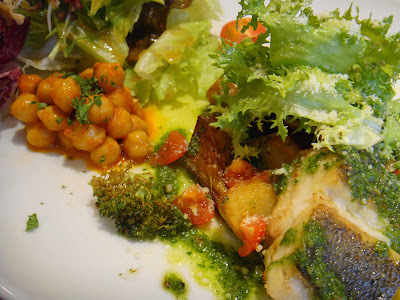 And the plate of fish with vegetables and beans was very special indeed. 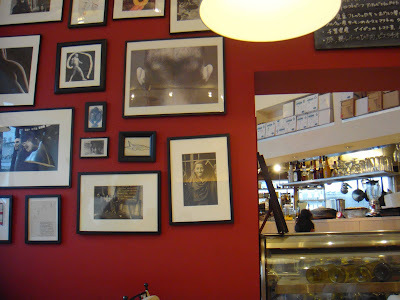 The way they decorated it showed that Chiki Chiki is not just any casual cafe, but something more. 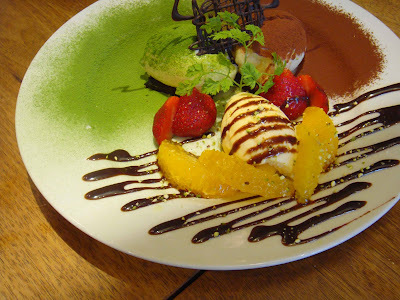 However, we were not sure about the desert - 2 type of Tiramisu with vanilla ice cream. 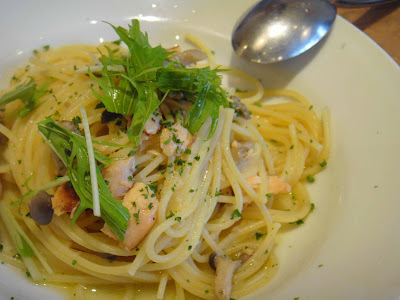 The look was great (picture above), but it just did not feel like the Tiramisu. But overall we were satisfied. 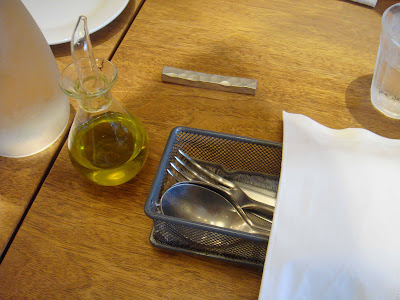 Beside the delicious dishes, I also like the way they use the block of red wall in the interior. The separation of the main entrance with the kitchen beside it, some counter seats and the main room for dining was very successful. Even though the design approach seems quite modern, the touch of hand made furniture and decorations help to make it a very warm place indeed.